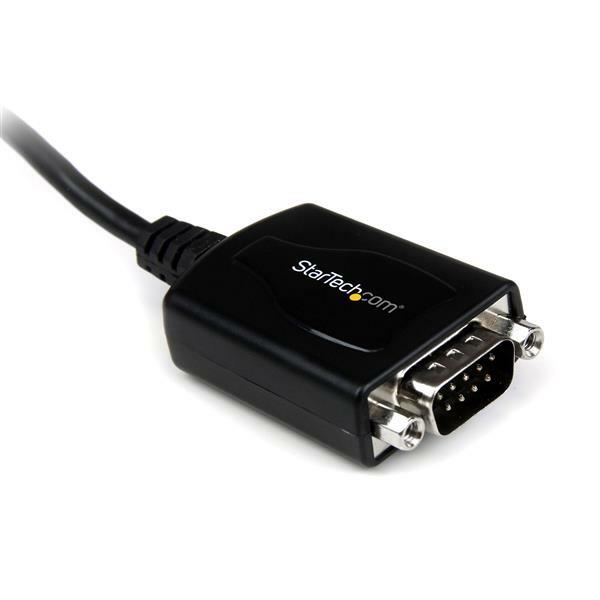 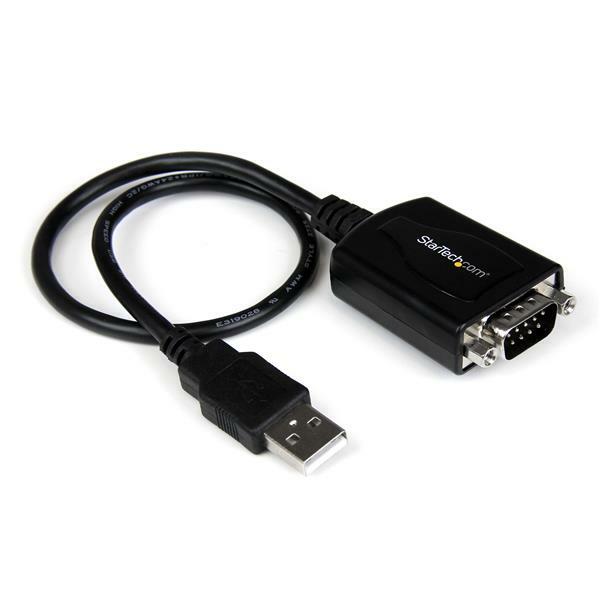 The ICUSB232PRO 1 ft USB to RS232 Serial DB9 Adapter Cable with COM Retention offers a professional grade solution for connecting legacy or industrial RS232 serial devices to a laptop or desktop computer through USB - eliminating the expense of upgrading serial peripherals for compatibility. 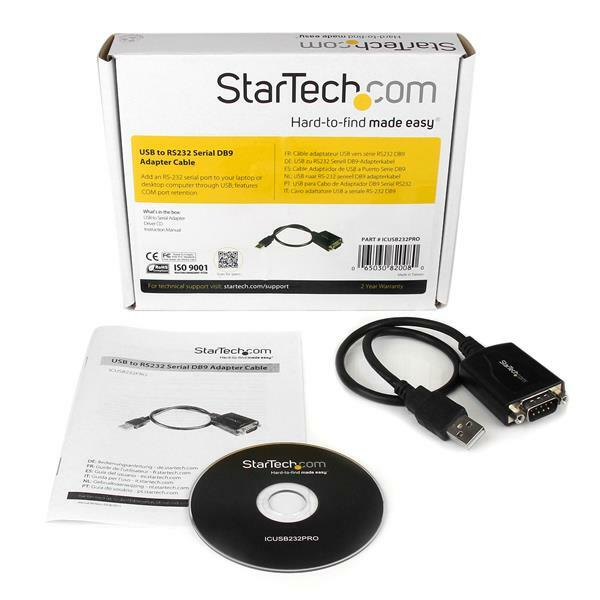 A time-saving and convenient USB/Serial solution, the adapter retains assigned serial COM port values in nonvolatile memory, allowing the same values to automatically be assigned to the adapter serial port if disconnected and reconnected, or disconnected from one USB port and installed in another. 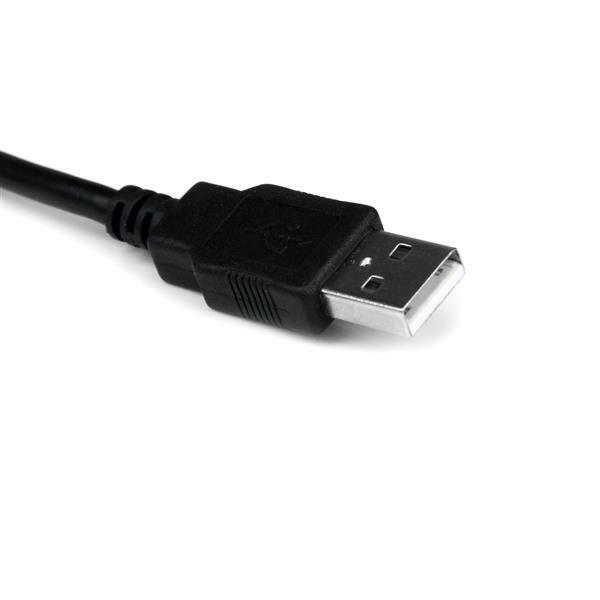 A versatile connectivity solution that bridges legacy serial peripheral devices with newer USB-capable computers, the USB to Serial adapter offers broad operating system compatibility including Windows®, Linux and Mac OS, for easy integration into mixed environments.